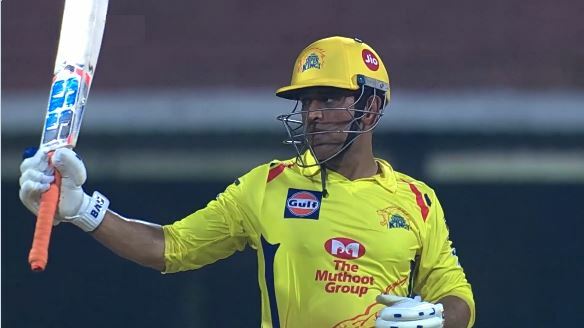 The 33rd match of IPL 2019 at the Rajiv Gandhi International Stadium featured the finalists of last year – Chennai Super Kings and Sunrisers Hyderabad. It’s a clash of two very powerful teams and cool captains. Kane Williamson was leading SRH but surprisingly, MS Dhoni didn’t walk out for the toss for CSK. Let’s find out the reason why MS Dhoni is not playing today against SRH. Suresh Raina came out alongside Williamson for the toss. MS Dhoni came out for the warm-up before the game and was playing football on the ground. But he did not lead the Yellow Army in the crucial encounter. The reason why MS Dhoni isn’t playing is he is suffering from a back spasm. In the last game against Kolkata Knight Riders, he was seen having discomfort while batting. He opted to take rest and skipped the SRH game. Suresh Raina, after winning the toss, mentioned about Dhoni taking rest. Sam Billings was slotted in to replace Dhoni. “Dhoni wanted to take some rest, he’ll be back in the next game. Karn Sharma comes in the side in place of Santner and as Dhoni is not playing, Sam Billings comes in for him,” said Raina, the stand-in skipper for CSK. CSK has had a great time in the league so far. MS Dhoni and his men have won 7 out of 8 games so far. They are placed firmly on top of the points table. Their only loss so far has come against Mumbai Indians. This is the first time this year that CSK and SRH are up against each other. After tonight’s game, in 6 days time, these two teams will face each other again, and that game will take place at the M Chinnaswamy Stadium, Chennai on April 23.